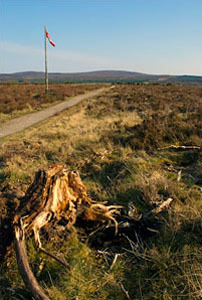 A young man from South Uist in the Outer Hebrides played a key role in Charles Edward Stuart's escape following his defeat at Culloden in 1746. Neil MacEachen's part in Bonnie Prince Charlie's dramatic flight to Paris led to him living in exile on handouts from rich Jacobites. The islander's story and how his son, Etienne Alexander MacDonald, could have been the Emperor of France, are told here. The wind which whistled around Nunton House on the island of Benbecula still carried an Arctic chill as the MacDonald chief and some of his closest friends discussed the military catastrophe that had occurred twelve days earlier on the icy fields of Culloden. But even the men of Clanranald could not have predicted the full scale of the avenging forces that would eventually be ranged against them. Their estates would be seized, their language and culture would soon face extinction. As they ate their dinner a hushed message was delivered on the doorstep that would change forever the life of one of the young men at the table. He would not have known it then, but his reaction to message meant that Neil MacEachen, tutor to the Clanranald children and friend of Charles Edward Stuart, would eventually die an exile, in abject poverty in a foreign land. Born in Howbeg, a small village on the west coast of South Uist, Neil was an intelligent, pious young man who felt he had a calling for the priesthood. At the time no one could train to be a priest in Protestant, post-Reformation Scotland so Neil had to go to the Scots College in Paris. He was there at the same time as many prominent Jacobites. Neil never completed his studies and returned to Uist where he tutored the chief's family but this may have been a cover for his activities as a Jacobite spy. It is claimed that he fought in the 1745 rebellion and was present at Culloden but there is no real evidence. However, there is no question about the importance of his role in helping the prince evade capture and eventually escape to France. School history books tell the story of the prince dressing in women's clothes, changing his name to Betty Burke and escaping "across the sea to Skye" with Flora MacDonald. Flora was in the boat but so was her cousin, Neil MacEachen. Fluent in French, English and Gaelic, he had been the prince's constant companion as they hid from the Red Coat soldiers in safe houses and isolated caves around South Uist. Charles Edward Stuart had been on the run for nearly a fortnight when his ship arrived at Rosinish on the east coast of Benbecula. There was a reward on offer of £30,000 from the government for information leading to his capture, which is worth about £4.5m in 2007's currency. 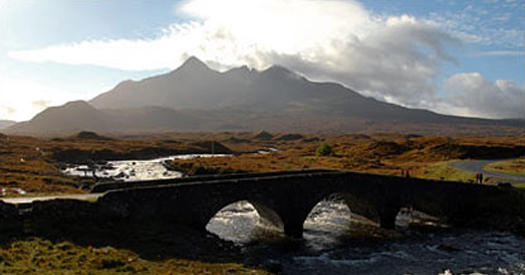 Eventually Neil, 'Betty Burke' and Flora MacDonald crossed the Minch to Skye and afterwards onto the mainland. Months later the two men and other Jacobites were picked up by a French vessel and escaped to Paris. In France, all the Jacobite officers who had fled from Scotland were recruited to the French army and Neil became a lieutenant. He had now changed his name to MacDonald possibly because MacEachen was too difficult for the French to pronounce. However, a peace treaty between England and France led to redundancies in the French army and Neil's life was to change for the worse. The English negotiators insisted that Bonnie Prince Charlie should be expelled from France. Several years later the Jacobite regiments were disbanded and Neil moved his young family to Sancerre. The small town had considerable attractions. The cost of living was cheap, the wine was good and the town was home to a small Jacobite community. Indeed a plaque can still be seen, with inscriptions in French and Gaelic, commemorating the historic links with the Jacobites. A local historian, Jean-Yves Ribault, said: "Neil's family was very poor. His wife took in laundry and took cleaning jobs but it seems he did very little. The family would not have survived without financial support from better off Jacobites." Neil MacDonald eventually paid a heavy price for his loyalty to the prince. He died in 1788 in exile and poverty far from the beautiful white beach of his childhood in Howbeg. By the time of Neil's death his son Etienne Alexander MacDonald had started his brilliant military career. Four years older than Napoleon their military careers followed similar paths with one major difference. By 1799. Revolutionary France was in trouble on several fronts. Its armies were being outfought by a coalition of Britain and the Russian, Austrian and Ottoman Empires. A political faction planned a coup d'état and wanted a general to head it. 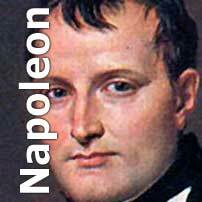 Napoleon Bonaparte, who had recently returned from fighting in Egypt, led that coup but he wasn't first choice. Jean Didier Hache, a French historian who has a house in Benbecula, has translated Marshall MacDonald's diary into English explained what happened. He said: "The people who were backing the coup d'état wanted a general who would back it. "Their first choice, General Joubert, was killed in Italy. General Moreau refused. Afterwards, they went to MacDonald who also turned down the offer. "Eventually they approached Bonaparte who said, 'Yes, I'll do it by all means'. So the coup that toppled the regime was led by Bonaparte backed by the army, including MacDonald." It is incredible to think that the most powerful man in Europe could have been Emperor MacDonald of France, a man who was one step away from a poor crofting village in South Uist. It was a turbulent period in European history. In 1813 Napoleon and France suffered a crushing defeat at the battle of Leipzig and the Allied forces soon occupied Paris. MacDonald and other French generals went to Fontainbleau to convince Napoleon to abdicate. In his memoirs MacDonald described their last meeting: "He was seated before the fire, clothed in a simple dressing gown, his legs bare, his feet in slippers, his head buried in his hands and his elbows resting on his knees. The emperor appeared to wake from a dream and to be surprised at seeing me." Napoleon presented his marshal with the sword he had worn in his Egyptian campaign and said: "Keep it in remembrance of me and my friendship for you." MacDonald then tried to negotiate the best possible terms of abdication with the Allies, and particular with the Czar of Russia. 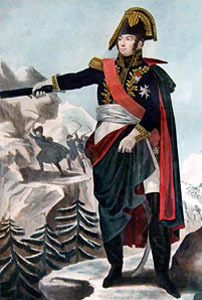 Napoleon was exiled to Elba but [circumstances forced him to] escape and he raised an army of loyal veterans. He asked MacDonald to join him but he had sworn allegiance to the restored Monarch, King Louis XVIII and refused. Napoleon's dream of returning to power was eventually broken at Waterloo and he was soon back in exile where he died in 1821. But while Napoleon's memory faded away MacDonald prospered. He became a minister in the French government, a Peer of the Realm and was elevated to Arch-Chancellor of the order of the Legion d'Honneur. His statue now stands on the side of the Louvre, his name is inscribed on the Arc de Triomphe and one of the boulevards of Paris was named after him. But the son of South Uist had never forgotten the stories his father had told him as a boy and in 1825 he went on a remarkable pilgrimage back to Howbeg. His diary records the purpose of his trip: "29th of June 1825. We are now under sail for the Hebrides. The purpose of my journey is to see the house where my father was born, the cave where he hid with Prince Charles for three weeks, as well as what is left of our family." The newspapers of the time said that 600 people came out to see this rich, powerful Frenchman with the incredible history, although the turnout might have been boosted by the barrel of whisky he brought with him. It must have been an emotional experience for the marshal. He writes in his diary, "We are welcomed by a quantity of MacDonalds. I meet an elderly spinster who sheds tears of joy: she is my first cousin." The marshal's diary also observes the poverty of the people who were now living in constant fear of Clearance, by their own landlords, in many cases their own flesh and blood. A progressive landowner in France, MacDonald offers no opinion or explanation. When MacDonald died in 1840 at the age of seventy he was given a state funeral and buried in the Marshall's Boulevard in Pere Lachaise cemetery in Paris. 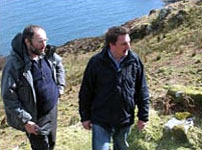 Soil he had brought from his father's house in South Uist fifteen years earlier was buried with him. It was the end of a remarkable story that spanned more than a hundred years of Scottish and European history, involved the last battle fought on British soil and the Emperor Napoleon. And it all started in a thatched house near the stunning white beach at Howbeg on the Atlantic coast of South Uist.